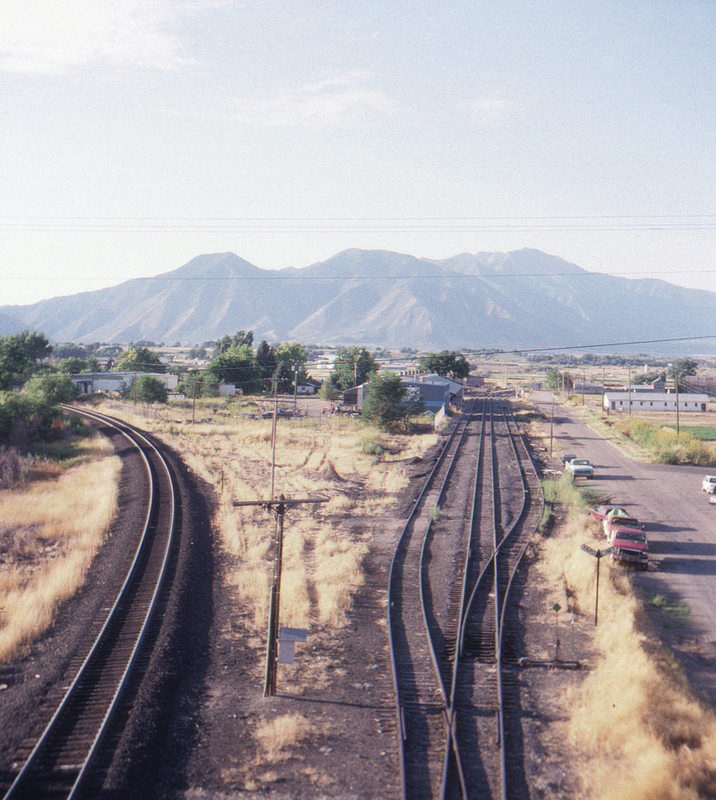 This shot from the Utah Highway 77 bridge at Springville, Utah provides a clear view of the small yard on the north end of the Denver & Rio Grande Western branch to Elberta, Utah. At left is the single track owned by the Utah Railway, its contribution to the shared double track main south through Spanish Fork Canyon. Not visible off to the left is the D&RGW's single track.